This evening Janis & I did our Christmas shopping for all of the kids in our lives. By the time we were through the store the shopping basket was overflowing. We had great fun picking out the kid's gifts. 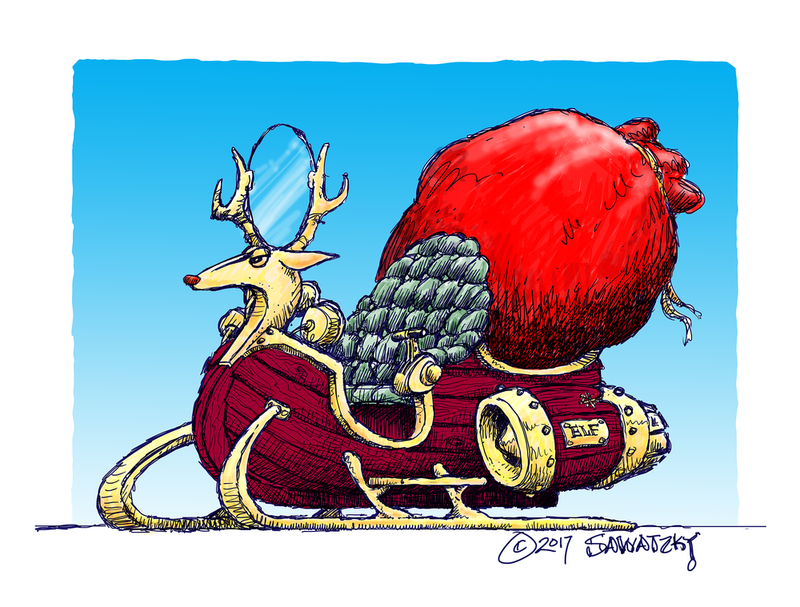 As we packed everything into the car I was reminded of a recent concept I had done of Santa's sleigh - jet powered of course to make it around the world in time to deliver all of the presents to the kids. Christmas is coming fast and we are almost ready!